Life Magazine September 10, 1971. Television on cover. Articles inside include Botulism, Margaret Bourke-White, TV's Impact on Society, How a Network Boss Picks a Show, Our First TV Star, and more. Filled with great advertising and Life's Famous photographs. Magazine is in very good condition, wear at edges. 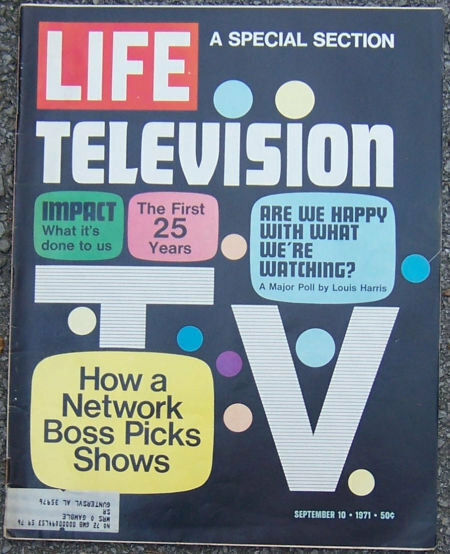 Items Similar To "Life Magazine September 10, 1971 Special Television"